I like this idea as it’s really easy (you can’t get much simpler than sticking your mic out the window) but also by getting one recording during the day and then one during the night the sounds should come in really handy as atmos fx for when you have a location in a film or tv programme that you return to at different times of day. 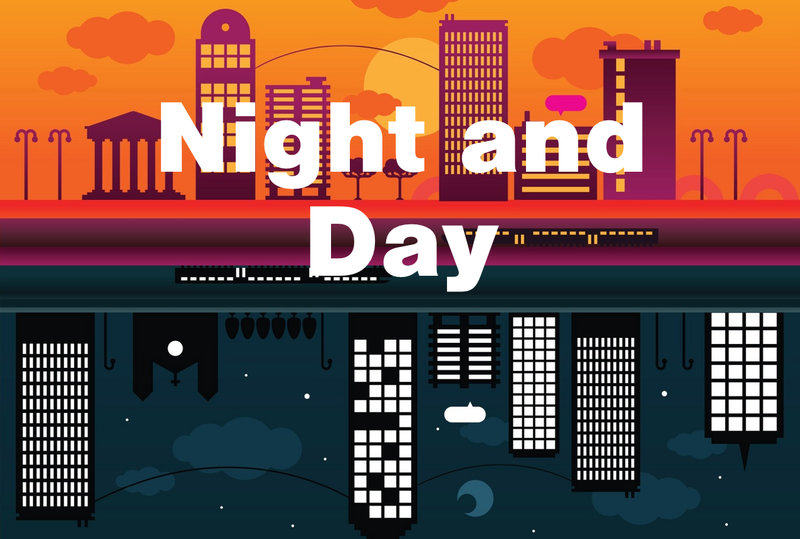 I’m not going to set any restrictions on what the recordings should be but bear in mind the idea that your recordings should be useful for showing a transition or contrast between night and day at a specific location – they shouldn’t be two completely unrelated subjects. As Al explains, feel free to simply record outside your house or workplace but more adventurous locations further afield are obviously very welcome too. I’m afraid I’m going to be a lot stricter about the necessity for a vocal ident on your recordings this month. I haven’t been able to lockdown the legal side of things just yet so the vocal ident idea is my insurance policy for now. Please help me out with this as much as possible. I may still consider accepting entries that don’t have a vocal ident as long as they are obviously not library fx but I can’t guarantee it. Please don’t take offense if I have to reject your submission(s) for this reason. From now on, I’m going to set a minimum sample / bit rate requirement of 48k / 24 bit, and I encourage you to record at higher sample rates whenever possible. This is directed at myself as much as anyone else as last month I submitted an old minidisc recording which was at 44.1k because I was short on time to get new recordings. However, I really want everyone to feel that they’ve gained a pro-quality collection of sounds at the end of each month so I think this is a necessary new standard to set. Likewise, although I’ve been an advocate of them for lo-fi ‘guerilla’ recording, phone recordings don’t belong in a professional sound collection like this either so will not be accepted. We’re fortunately already in the position of it being quite a task downloading all the submitted tracks! Apparently, Soundcloud are planning a ‘Set Download’ button that’ll save you having to click on each track, so that’ll eventually make life much easier. However, in the meantime, bear in mind that Soundcloud preserves any metadata that you load into your wav’s – at least it does when you load your metadata in Pro Tools which is what I tend to do (if you don’t use Pro Tools, don’t worry, just enter your metadata as you would normally and we’ll see whether it survives or not). Consequently, if you make the file name the same as the title you give the track on the Soundcloud upload page and then you make the ‘description’ box in Soundcloud show the same info that appears in ‘File Comment’ in the Pro Tools workspace then we won’t have to do any cataloguing at the end of each month, i.e. the info related to a track that appears in Soundcloud will already be contained within the file when it is downloaded. Conveniently, in this way your files can carry your contact info should they be needed by someone. This entry was posted on December 1, 2010 by sonicskepsi. It was filed under Notices, Themes and was tagged with Notice.